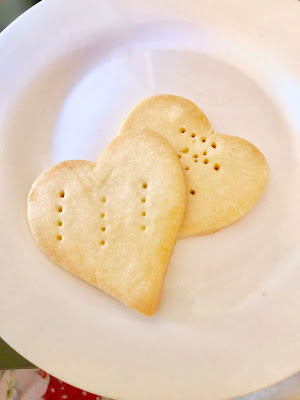 Valentine's Day Shortbread Cookies - San Diego Dining Dish! Valentine's Day is just around the corner, and I am firmly in the camp of loving Valentine's Day, with all of its cheesy pink and red. My daughter loves it as well, even though this is the first year she sort of "gets" it. What is not to like about a holiday that honors friendship and caring? 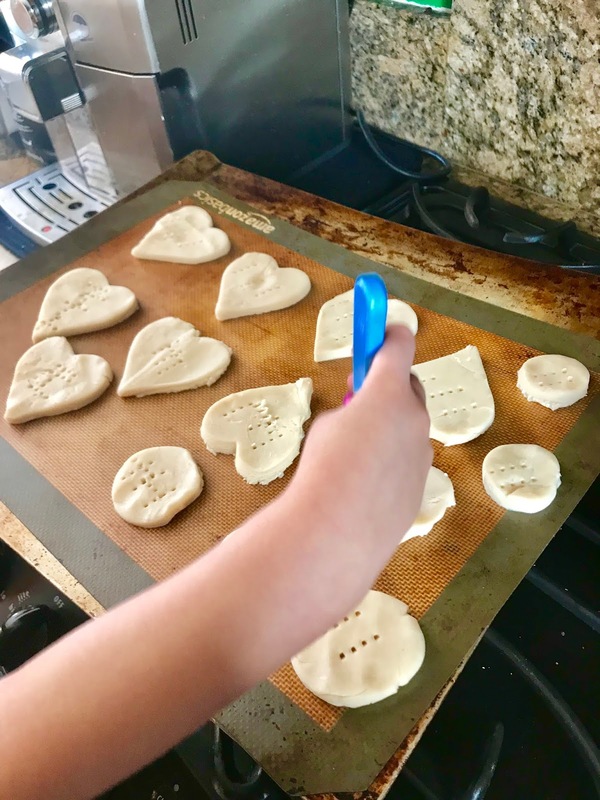 My daughter and I recently got into making shortbread cookies over the winter holidays. 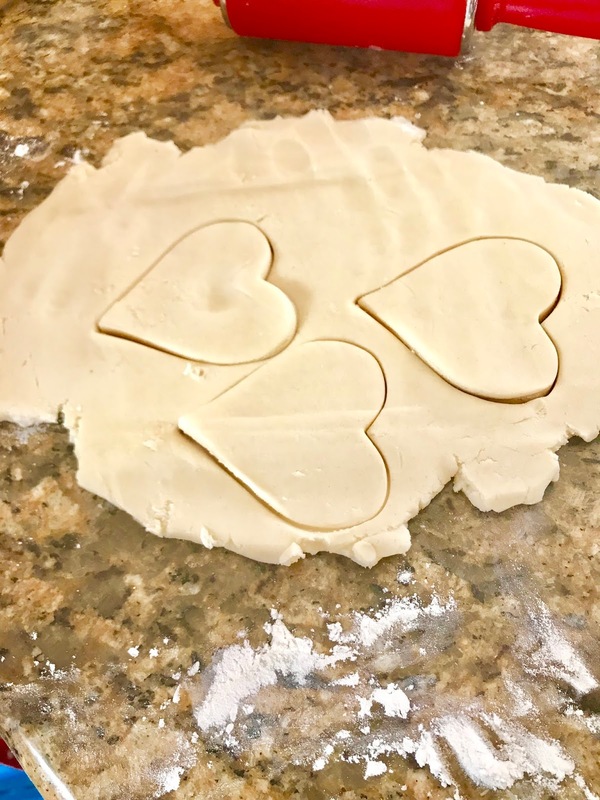 They are seriously the most simple cookies to make, and are pretty foolproof. Added to their simplicity, the ingredient list is short and consists of staples of most every kitchen. 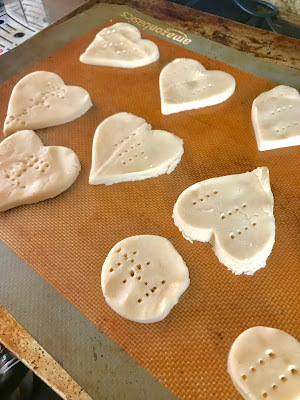 We cut ours into hearts, but any shape will do. 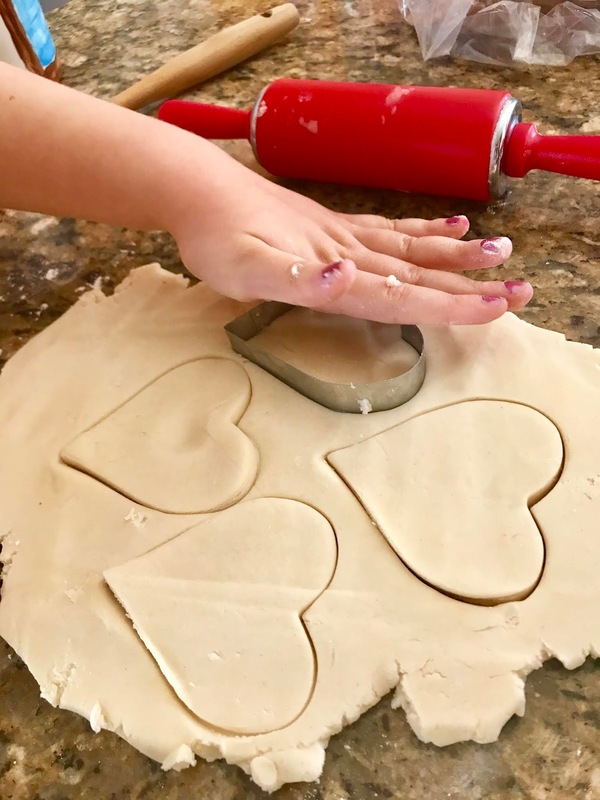 We've made them into circles with biscuit cutters as well. I would avoid too ornate of cookie cutters, however. The simple tin shaped cutters work the best, and are the most easy to use. Adding frosting of sprinkles is fun, but the simple, buttery sweet flavor of the shortbread is so good. So much better than any store bought (cough, Walkers). Just roll out the dough, cut, and bake! 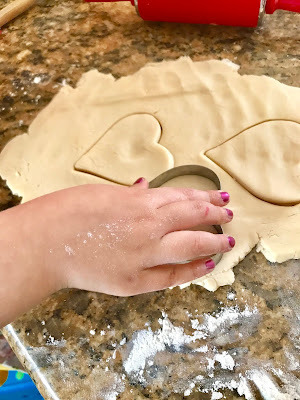 My daughter loves helping with her little rolling pin. Prick them with a fork before baking. 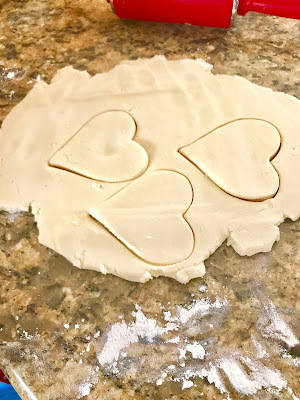 Pricking releases air from the dough to keep the cookies flat. Using a mixer, whip the butter. Add in the remaining ingredients until well incorporated. Bake for 15 minutes at 350 degrees. Cool for 10 minutes, then add any adornments desired. These cookies will keep in a sealed container for a few days.